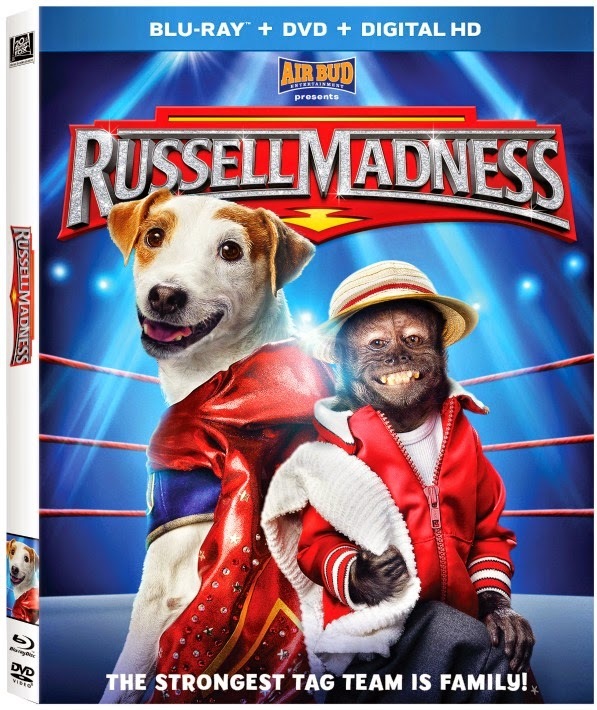 Russell Maddness is now available on Blu-Ray, DVD, and Digital HD. 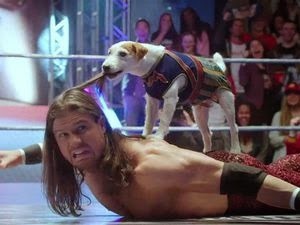 This exciting adventures introduces "Russell" a talking Jack Russell Terrier who accidentally becomes a professional wrestling superstar, on the way to discovering the true power of family. This is a fun family movie. Russell is a sweet terrier that wants a family more than anything. He runs away from the pet store. He gets taken in by a family that is working to revive their grandfather's pro wrestling arena. They soon realize that Russell has incredible wrestling skills. 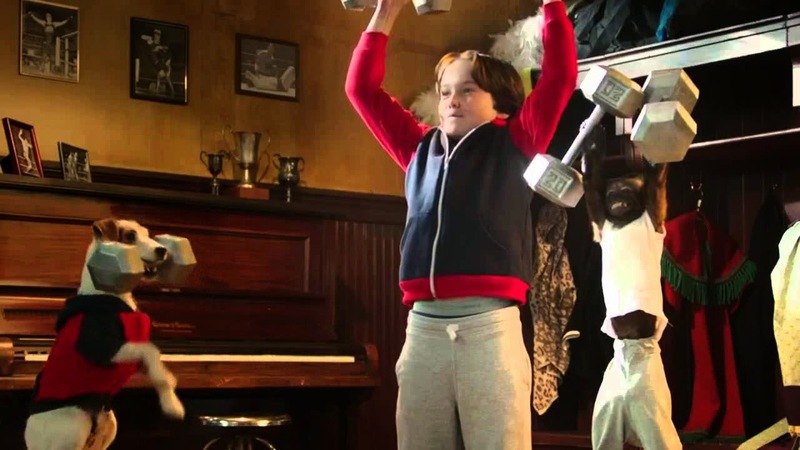 He has some help from an unlikely coach, Hunk, a hilarious monkey. Russell soon is at the top of the pro wrestling world. Unfortunately a dishonest promoter double crosses the family and Russell will face his biggest challenge. He discovers that the strongest tag team is family. We sat down as a family to watch this movie. The boys really loved watching the dog wrestle and thought the monkey was funny. It was still fun for us adults too. I love that the movie is family friendly so we could all enjoy a movie together. The movie is produced by Air Bud Entertainment. Wonderful kids and family movie! I love the storyline, look fun and adventurous. The terrier is too cute!